It's been a State secret for more than 70 years: The official line in the UK has always been that it never happened - but this new work challenges the assertion that no German force set foot on British soil during World War Two (the Channel Islands excepted), on active military service. Churchill's Last Wartime Secret reveals the remarkable story of a mid-war seaborne enemy raid on an Isle of Wight radar station. 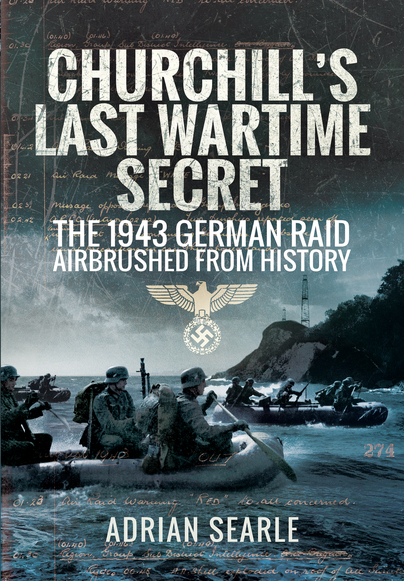 It describes the purpose and scope of the attack, the composition of the raiding German force and how it was immediately, and understandably, 'hushed-up' by Winston Churchill's wartime administration, in order to safeguard public morale. Circumventing the almost complete lack of official British archival documentation, the author relies on compelling and previously undisclosed first-hand evidence from Germany to underpin the book's narrative and claims; thus distinguishing it from other tales of rumoured seaborne enemy assaults on British soil during the 1939-45 conflict. After examining the outcome and repercussions of this astonishing incident, what emerges is an event of major symbolic significance in the annals of wartime history.